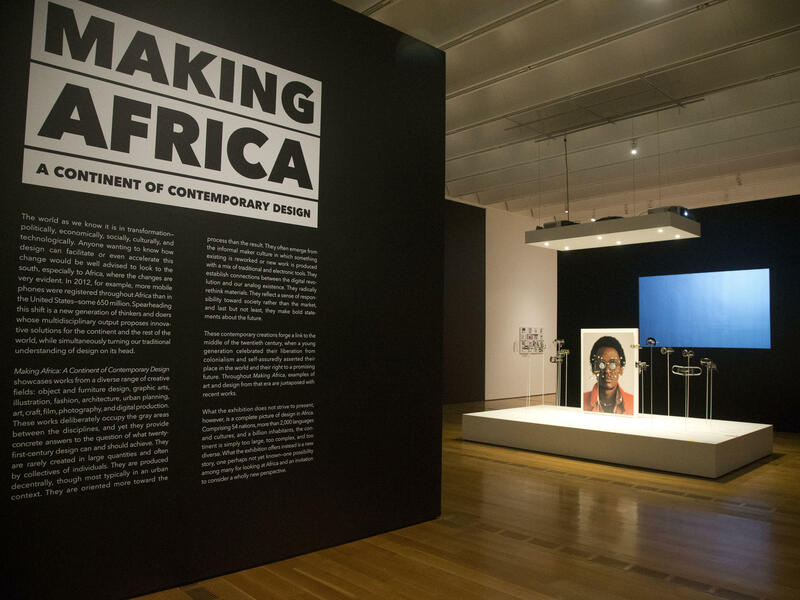 The High Museum of Art in Atlanta has worked to make diversity a priority. In recent years, the museum has seen an increase in the percentage of nonwhite visitors. American museums — their boards, their staffs, the people who visit them — are far more white than the American population as a whole. It's a problem that can affect museums' bottom lines, but it also seems to be in direct contradiction with many of these institutions' missions to spread knowledge and wonder far and wide. The High Museum of Art in Atlanta is emerging as an exception. The general arts museum, which has been around for more than 75 years, has seen the proportion of nonwhite visitors triple to 45 percent in recent years. That's close to the percentage of people of color in the Atlanta area. Museum director Rand Suffolk says that increase happened in part because the staff got together to brainstorm how to better serve their audience. Suffolk spoke with NPR's Lulu Garcia-Navarro about how the museum has become more inclusive and what other steps they're working toward to promote diversity. Our staff got together and they did a remarkable job of saying, "You know, what should our voice be as an institution?" And they came back and said "You know, we're a southern institution, we're very proud of that, there should be more southern hospitality in terms of the way we engage with people. There should perhaps be more humility about the way we're talking about ourselves and with individuals that are out there." And ultimately we came up with the tagline called, "Here for you." That we just want to put it out there that everything that we do is really intended to be audience-focused. I think what's changed for us is that we've strived to raise the bar when it comes to the diversity of content that we have. And so over the course of the past calendar year alone, of the 15 major exhibitions that we've done, more than half, in fact nine, have highlighted important work by artists of color, women artists and gay artists. They are, but I think in all fairness they're working on it. And the High is in an ideal situation to try and ultimately become at least one version of a national model of community engagement for the simple fact, among others, that Atlanta as a city has, I think, an uncommon history. First of all, it's an incredibly diverse city, but it also has an uncommon history of people working together to create something extraordinary. And the board at the High Museum of Art I think is fully behind these efforts and is excited and affirmed by our progress. Well, I think every institution has to look at how best they can dovetail their strengths with their community's needs. And I think that defining diversity based on your community is also important. Where we are is very different than Portland, Ore., in terms of how we identify diversity and so forth. And beyond just the demographics by ethnicity, at the High we're striving to figure out: How do we just make inclusivity, as I said, a part of who we are? So for example, we decided last year to stop doing audio guides and instead we took those dollars and we've invested them to make sure that every single public program we do has an ASL interpreter there. I think art museums in general have to embrace the fact that we have an incredible opportunity to make a positive, immediate impact within our communities. American museums, their boards, their staffs, the people who visit them are far more white than the American population as a whole. It's a problem that can affect museum's bottom lines, of course. But it also seems to be in direct contradiction with many of these institution's missions to spread knowledge and wonder far and wide. The High Museum of Art in Atlanta is emerging as an exception. One example in recent years, the proportion of nonwhite visitors has tripled to 45 percent, which is pretty close to the percentage of people of color in the Atlanta area. Rand Suffolk is the director of the High, and he joins me now from Atlanta to talk about how the museum is changing. Welcome to the program. RAND SUFFOLK: Thank you. Good morning. GARCIA-NAVARRO: So tell us about the High Museum for those who may not have been. SUFFOLK: Well, the High Museum is I think one of the finest art museums in the Southeastern United States. It's been around for over 75 years, and it's an extraordinary general fine arts museum. GARCIA-NAVARRO: When did you realize that the low numbers of minorities visiting your museum was a problem? SUFFOLK: Well, I think we realized early on that there was a challenge there. You know, Atlanta is an incredibly diverse city, and what we understood was that our audience did not reflect, or our numbers did not reflect the audience that we served. And there's both a missionary and a mercenary component to this. And the missionary part of it was that we really needed to figure out a way how to do a better job connecting with that audience. GARCIA-NAVARRO: So when you started to do different kinds of outreach, you know, how were you reaching these people that might not have been reached by you before? SUFFOLK: Our staff got together, and they did a remarkable job of saying, you know, what should our voice be as an institution. And they came back and said, you know, we're a Southern institution. We're very proud of that. There should be more Southern hospitality in terms of the way we engage with people. There should perhaps be more humility about the way we're talking about ourselves and with individuals that are out there. And ultimately, we came up with a tagline called Here For You that we just want to put it out there that everything that we do is really intended to be audience-focused. GARCIA-NAVARRO: Talk to me a little bit about the things that you're now, that are part of your exhibitions that might not have been before. SUFFOLK: I think what's changed for us is that we've strived to raise the bar when it comes to the diversity of content that we have. And so over the course of the past calendar year alone, of the 15 major exhibitions that we've done, more than half, in fact, nine have highlighted important work by artists of color, women artists and gay artists. GARCIA-NAVARRO: I understand that the docents, the people who take people around and are the day-to-day public face of the museum have also been diversified. Is that right? GARCIA-NAVARRO: But the board and the people who run the museum are still less diverse. SUFFOLK: They are. But I think, in all fairness, they're working on it. And the High is an ideal situation to try and ultimately become at least one version of a national model of community engagement for the simple fact among others that Atlanta as a city has I think an uncommon history. First of all, it's an incredibly diverse city, but it also has an uncommon history of people working together to create something extraordinary. And the board at the High Museum of Art I think is fully behind these efforts and excited and affirmed by our progress. GARCIA-NAVARRO: What do you think the takeaway is for other institutions? What can they learn? SUFFOLK: Well, I think every institution has to look at how best they can dovetail their strengths with their community's needs. And I think that defining diversity based on your community is also important, you know. Where we are is very different than Portland, Ore., in terms of how we identify diversity and so forth. And beyond just the demographics by ethnicity, you know, at the High, we're striving to figure out how do we just make inclusivity as I said a part of who we are. And so for example, we decided last year to stop doing audio guides. And instead, we took those dollars, and we've invested them to make sure that every single public program we do has an ASL interpreter there. I think art museums in general have to embrace the fact that we have an incredible opportunity to make a positive immediate impact within our communities. GARCIA-NAVARRO: Rand Suffolk, director of the High Museum of Art in Atlanta. Thank you so much. [EDITOR'S NOTE ON JAN. 18: This story should have noted that artnet News was the first to report that the High Museum’s proportion of nonwhite visitors has grown to 45 percent and now is close to the percentage of people of color who live in the Atlanta metropolitan area. That news site’s report about the museum’s “valuable case study” concerning how to diversify audiences is online here.] Transcript provided by NPR, Copyright NPR.